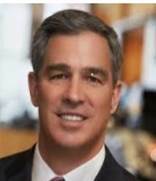 John L. Garrison, Jr. was appointed President and Chief Executive Officer of Terex Corporation on November 2, 2015, and Chairman of the Board of Directors on August 15, 2018. Previously, Mr. Garrison was President and Chief Executive Officer of Bell Helicopter, a segment of Textron, Inc., since 2009. Prior to that, Mr. Garrison served as President of Textron’s industrial segment, which comprises four businesses: E-Z-GO golf cars, Greenlee, Jacobsen and Kautex. Prior to that he was President of E-Z-GO. Mr. Garrison joined Textron in 2002 from Azurix Corporation, a global water company, where he was President, Chairman and CEO. He was previously Vice President and General Manager of Case Corporation’s North American Agricultural Group, and Vice President and General Manager of the Case Agricultural Systems Group. Paula H. J. Cholmondeley was a private consultant on strategic planning from 2004 through 2009. Ms. Cholmondeley served as Vice President and General Manager of Sappi Fine Paper, North America from 2000 through 2004, where she had profit and loss responsibility for their Specialty Products division. Ms. Cholmondeley held senior positions with various other companies from 1980 through 1998, including Owens Corning, The Faxon Company, Blue Cross of Greater Philadelphia, and Westinghouse Elevator Company, and also served as a White House Fellow assisting the U.S. Trade Representative during the Reagan administration. Ms. Cholmondeley, a former certified public accountant, is an alumnus of Howard University and received a Masters Degree in Accounting from the University of Pennsylvania, Wharton School of Finance. Ms. Cholmondeley is also a director of Kapstone Paper and Packaging Corporation, Bank of the Ozarks, Inc. and is an independent trustee of Nationwide Mutual Funds. 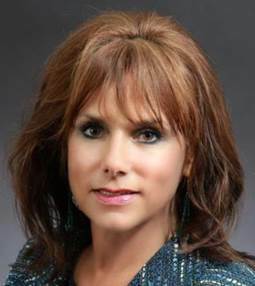 Previously, Ms. Cholmondeley served as a director of Ultralife Corporation from 2004 through 2010, Albany International Corp. from 2005 to 2013, Minerals Technologies Inc. from 2005 to 2014 and Dentsply International Inc. from 2001 to 2016. Donald DeFosset, Chairman, President and Chief Executive Officer (retired), Walter Industries, Inc.
Donald DeFosset retired in 2005 as Chairman, President and Chief Executive Officer of Walter Industries, Inc., a diversified company with principal operating businesses in homebuilding and home financing, water transmission products and energy services. 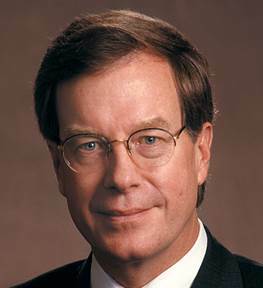 Mr. DeFosset served since November 2000 as President and CEO, and since March 2002 as Chairman, of Walter Industries. Previously, he was Executive Vice President and Chief Operating Officer of Dura Automotive Systems, Inc. (‘‘Dura’’), a global supplier of engineered systems, from October 1999 through June 2000. 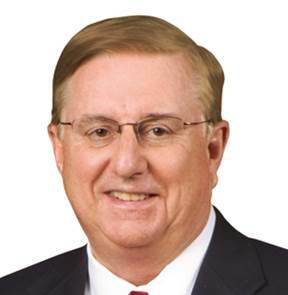 Before joining Dura, Mr. DeFosset served as a Corporate Executive Vice President, President of the Truck Group and a member of the Office of Chief Executive Officer of Navistar International Corporation from October 1996 to August 1999. Mr. DeFosset also serves as a director of National Retail Properties Inc., Regions Financial Corporation and ITT Corporation. Previously, Mr. DeFosset served as a director of James Hardie Industries N.V. from 2006 through 2008 and Enpro Industries, Inc. from 2008 through 2011. Thomas J. Hansen, Vice Chairman (retired), Illinois Tool Works, Inc.
Thomas J. Hansen retired in March 2012 as Vice Chairman of Illinois Tool Works Inc. (‘‘ITW’’), a manufacturer of fasteners and components, consumable systems and a variety of specialty products and equipment, and was responsible for ITW’s worldwide Automotive Components and Fastener, Fluids and Polymers, Industrial Metal and Plastic and Construction businesses. He served as Vice Chairman from 2006 until March 2012. From 1998 until May 2006, Mr. Hansen served as Executive Vice President of ITW. Mr. Hansen joined ITW in 1980 as sales and marketing manager of the Shakeproof Industrial Products businesses and held several other positions of increasing responsibility with the company. Mr. Hansen is a member of the Northern Illinois University’s Executive Club, a former member of the Economics Club of Chicago, is the former Chairman of the ITW Better Government Council, and is a former member of the Board of Trustees of MAPI (Manufacturers Alliance). Mr. Hansen also serves as a director of Mueller Water Products, Inc., Standex International Corporation and Gill Industries Inc., which is privately held. 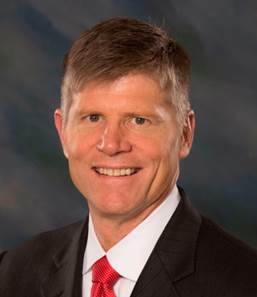 Previously, Mr. Hansen served as a director of CDW Corporation from 2005 through 2008. 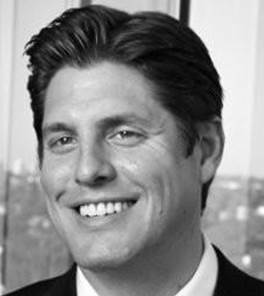 Matthew P. Hepler, Partner, Marcato Capital Management L.P.
Matthew Hepler is currently a Partner at Marcato Capital Management L.P. (‘‘Marcato’’), a hedge fund. Prior to joining Marcato in March 2016, Mr. Hepler was a partner at Red Mountain Capital Partners LLC, an investment firm, from March 2015 to December 2015 and was a Managing Director at Relational Investors LLC from 2008 until 2015 where he led the firm’s research team focusing on the industrials and materials sector. Prior to joining Relational Investors in 2008, he spent six years as a Vice President in the investment banking division of Credit Suisse. Mr. Hepler began his career as a senior analyst in the technology group at Robertson Stephens. 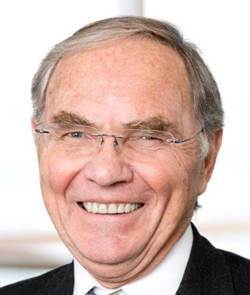 Raimund Klinkner is the Managing Partner of the IMX INSTITUTE FOR MANUFACTURING EXCELLENCE GmbH, a consultancy firm specialized in production and logistics, and is Chairman of the German Manufacturing Excellence Board since 2004. In addition, Dr. Klinkner is Honorary Chairman of Bundesvereinigung Logistik (BVL International, the German-based Logistics Network). He also holds a position as Chairman of the Supervisory Board of DMG MORI AG (‘‘DMG’’) and is a member of the advisory board of ebm-papst Mulfingen GmbH & Co. KG. Dr. Klinkner lectures as Honorary Professor in production logistics at Technical University Berlin since 2003. 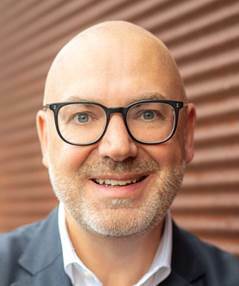 Previously, Dr. Klinkner served as Chief Executive Officer of Knorr-Bremse AG, a manufacturer of braking systems for rail and commercial vehicles, from 2007 to 2011. Prior to that time, he held positions of increasing responsibility at Gildemeister AG (now DMG), a manufacturer of cutting machine tools, from 1998 to 2006 culminating in his service as Deputy Chairman of the Board from 2003 to 2006. Dr. Klinkner began his career at Porsche AG in 1991 and held positions of increasing responsibility in the areas of logistics and supply chain management. 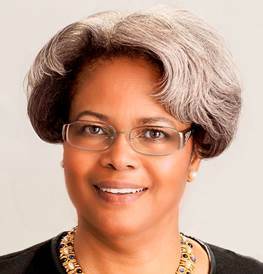 Andra M. Rush is chair and CEO of Rush Trucking Company, president and CEO of Dakkota Integrated Systems (‘‘Dakkota’’), and chair, president and CEO of Detroit Manufacturing Systems (‘‘DMS’’). As founder, chair, president and CEO of Rush Group, which operates Rush Trucking, Dakkota and DMS, Ms. Rush leads the largest woman-owned business in Michigan, and one of the largest Native American-owned businesses in the United States. Rush Group specializes in component manufacturing, assembly and sequencing, supply chain management, logistics and freight distribution at 35 locations in the U.S. and Canada. Ms. Rush founded Rush Trucking in 1984. Ms. Rush previously served two terms on the U.S. Manufacturing Council, the principal private sector panel that advises the U.S. Commerce Secretary on government policies and programs and their impact on the manufacturing sector. 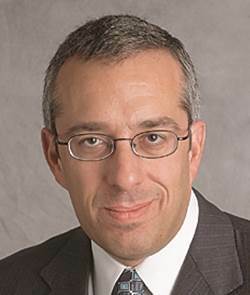 David A. Sachs is a Partner of Ares Management, LP (‘‘Ares’’) and co-founder of the firm, where he serves as an investment committee member on Ares direct lending, tradable credit private equity group funds, as well as the Ares real estate group’s real estate debt and U.S. real estate equity investments. Mr. Sachs also serves as a director of Ares Dynamic Credit Allocation Fund, Inc. and CION Ares Diversified Credit Fund. Oren G. Shaffer, Vice Chairman and Chief Financial Officer (retired), Qwest Communications International, Inc.
Oren G. Shaffer retired in 2007 as the Vice Chairman and Chief Financial Officer of Qwest Communications International Inc. (now CenturyLink), a telecommunications provider, having served in that capacity from 2002 to 2007. From 2000 to 2002, Mr. Shaffer was President and Chief Operating Officer of Sorrento Networks, a company which develops intelligent optical networking solutions for telecommunication applications, and was a consultant for SBC Corp. (now AT&T), a provider of wireless service technology. From October 1994 to January 2000, he served as Executive Vice President and Chief Financial Officer of Ameritech Corporation, a telecommunications company. Mr. Shaffer was Chief Financial Officer and Director and served in other senior executive positions in operations, finance and strategy, both internationally and domestically, in his 25 years with Goodyear Tire & Rubber Co. Mr. Shaffer also serves as a director of XPO Logistics, Inc. Mr. Shaffer previously served as a director of Intermec, Inc. from 2005 through 2013 and Belgacom SA from 1994 to 2014. David C. Wang retired in 2011 as Vice President of International Relations of The Boeing Company (‘‘Boeing’’), a large aerospace company and a manufacturer of commercial jetliners and military aircraft, having served in that capacity from October 2002 until July 2011. Mr. Wang was also President of Boeing China Inc. from November 2002 until March 2011. Prior to joining Boeing, Mr. Wang served as Chairman and CEO of General Electric China from 1997 to 2001. Prior to that, Mr. Wang served in various positions of increasing responsibility with General Electric since 1980. Mr. Wang is also a director of KLA-Tencor Corporation. Scott W. Wine, Chairman and Chief Executive Officer, Polaris Industries, Inc.
Scott W. Wine is the Chairman and Chief Executive Officer of Polaris Industries Inc. Polaris designs, engineers, manufactures and markets innovative, high quality off-road vehicles, including all-terrain vehicles and the Polaris RANGER® for recreational and utility use, snowmobiles, motorcycles and on-road electric powered vehicles. He joined Polaris in September 2008 after serving as the President of Fire Safety Americas, a division of United Technologies Corporation from 2007 to August 2008. Prior to that, Mr. Wine held senior leadership positions at Danaher Corporation from 2003 to 2007, serving as President of its Jacob Vehicle Systems and Veeder-Root subsidiaries. From 1996 to 2003, Mr. Wine held various international and domestic posts with Honeywell’s Aerospace Division. Mr. Wine also serves as a director of U.S. Bancorp.